For the beginning podcaster, a recording setup built around a laptop computer is the best entry-level solution. First, it’s more likely than not that you already own a laptop and if not, even the most basic, off-the-shelf laptops are equal to the task. Second, beyond recording, you’re going to need to do some editing in order to publish your podcast, so the laptop is an essential all around tool. 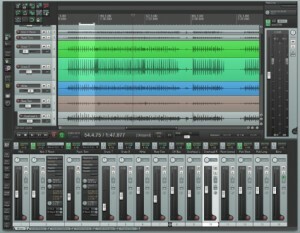 The interface is the hardware that translates analog audio signals into digital data that your computer will understand and vice versa. 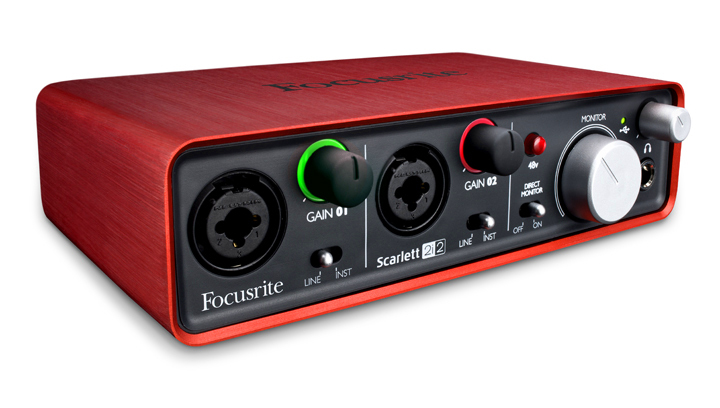 The array of available devices is dizzying, but one of my favorites and one of the easiest to use is the Focusrite Scarlett 2i2. Simply plug your microphone(s) into the front of the interface, plug the interface into the USB port of your computer and you’re on your way to recording. Available from B&H for $149.00. If you ask six audio professionals to recommend their favorite microphone and you’re guaranteed to get at least a dozen answers. They’re probably all good answers. For the past few years, I’ve been recommending the Audio-Technica AT2020. 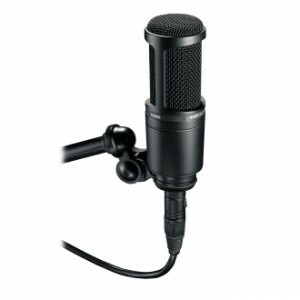 It’s described as a cardioid condenser microphone and in time those are terms that will be useful to understand, but for know all you need to know is that the microphone picks up sounds from the front of the mic while diminishing sounds from the sides and the back and it’s powered by your interface, which makes it a bit more sensitive. Available from B&H for $99.00. The traditional image of the radio or recording studio includes a room that’s dominated by an enormous mixing desk covered in sliders, knobs and switches. For purposes of recording your podcast, that complex (and expensive) piece of hardware is replaced by a simple (and inexpensive) piece of software. 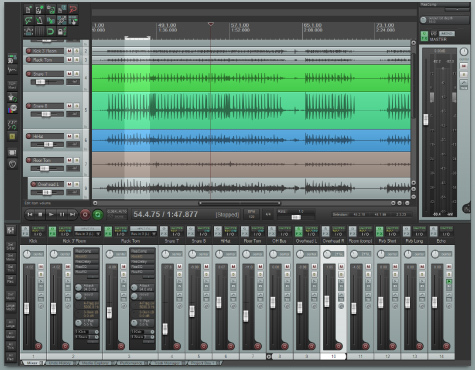 Mac users have a built in solution with the popular Garageband and open source Audacity has long been a favorite regardless of platforms, but since its introduction I’ve been a great fan of Reaper Digital Audio Workstation. If find it easy to use and flexible, but also powerful. Available for individual use for $60.